Book efficient and reliable window cleaners in SW5 who have years of window cleaning experience. As window cleaners based near to SW5, Spick & Span window cleaners offer residential and commercial window cleaning services of a very high standard. Spick & Span window cleaners are reputable, professional window cleaners working in SW5, and not ‘a man with a ladder’ type company. Spick & Span window cleaners are well equipped reliable professionals that provide tailor made window cleaning services of the highest level within SW5. Spick & Span window cleaners can provide references and proof of their Liability insurance cover. Spick & Span window cleaners have CRB clearance, So you can book a window cleaner in SW5 with complete confidence. Why choose Spick & Span’s SW5 window cleaner service? Arrange an SW5 window cleaner booking. Spick & Span are happy to offer window cleaning services in Earl’s Court and the surrounding SW5 area. 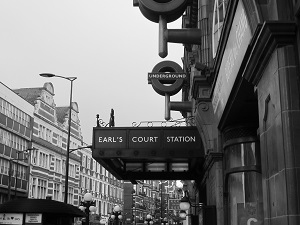 We carry out one-off job window cleaning and regular window cleaning in Earl’s Court, SW5. We provide a same-day and immediate response window cleaning service, in Earl’s Court, SW5 when possible. We carry out commercial window cleaning and residential window cleaning in SW5.